In my first post in this series, I introduced an online discussion that sparked a few ideas for me about ways in which some IT professionals have developed poor responses to common situations. In that post, I looked at what may be lurking underneath the frustration of a vendor “trying to please everyone.” In the second post of the series, I dug into a relatively common anxiety—our response when we feel that the skills we’ve worked hard to develop may become obsolete because of technological shifts in the industry. And here, in the last installment, I want to look at the unhealthy ways we can think about vendors and their goals. To underscore a point I’ve made throughout the series: this is not about shaming any specific individual. The online conversation was simply a launching point for my own introspective investigation. OK, let’s make sure we’re all clear about something: Microsoft wants to make money. Microsoft salespeople want to make their quotas. Microsoft stockholders want their investments to grow. Vendors, by and large, exist to sell you things. The good, ethical vendors understand that telling you their solution does something which it does not do is a bad long-term strategy. But they certainly aren’t going to refrain from showing you tools or services that do solve your problem, simply because you have too many of their products already. What I believe the skeptic is expressing here is common to IT pros—a form of mental exhaustion from having to weed through competing claims, software specs, internal requirements, and more. “I just wish they would give me the straight story for once!” is a feeling we all have when we’re at the end of our rope. It’s honest and true. It’s also incredibly unrealistic. Vendor A isn’t going to give you the straight story about vendor B’s solution. If they are worth doing business with, they won’t lie or trash talk vendor B, either. In fact, a good way to tell if a vendor is worth your time is by noting how little they say about the competition—the less, the better. Not to put too fine a point on it, but the big takeaway from this is that even experienced IT practitioners can fall into poor thinking patterns and reactive responses based on emotion rather than thoughtful analysis. We are best when we take a step back, think about why we may be having a strong reaction to a particular situation, and then decide whether that reaction is the best way to move toward an effective solution. Another, more specific point is that even when someone else is having a difficult time overcoming their own biases and anxieties, we can learn from that moment and become better IT professionals because of it. And of course, we should all be very thoughtful about what we post on social media, lest we become the object of a series of blog posts like this one. 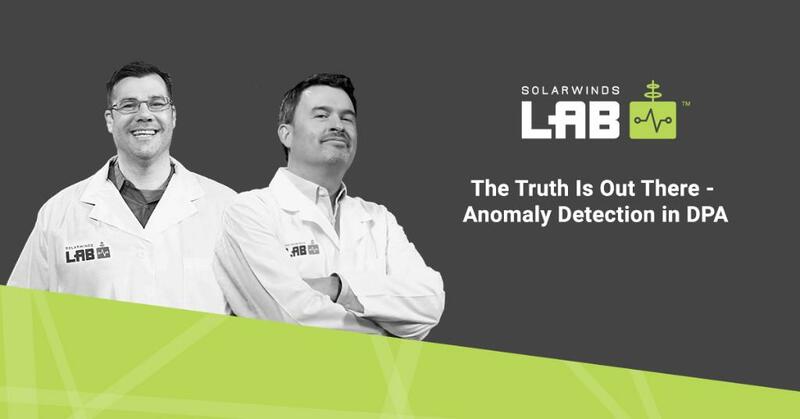 Leon Adato is a Head Geek™ and technical evangelist at SolarWinds, and is a Cisco® Certified Network Associate (CCNA), MCSE and SolarWinds Certified Professional (he was once a customer, after all). His 25 years of network management experience spans financial, healthcare, food and beverage, and other industries.